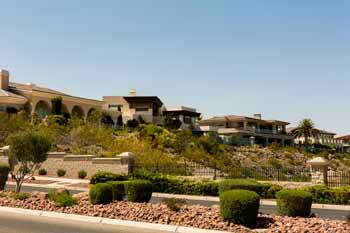 Over looking the Las Vegas Valley, high on top of the McCullough Mountain Range, sits the stunning community of Seven Hills. 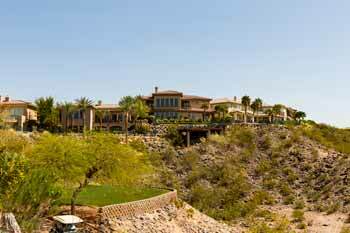 This master planned community is highly sought after because of its stunning panoramic views, world class golf courses and luxurious custom homes. 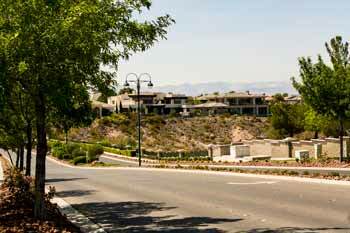 As you drive along the tree lined streets, you are overwhelmed by the beauty of the expertly designed neighborhood, where more than a third of the 1300 acre development is dedicated to green-space and parks. 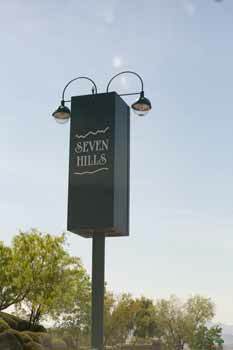 Seven Hills was designed with community in mind. The developers sought to create a community that was not only rich in beautifully designed homes but also in open space. There are 4 city parks inside of Seven Hills that offer tennis courts, basketball courts, soccer fields and volleyball courts. In addition to numerous playgrounds for children of all ages there are miles and miles of shaded walking and biking trails. 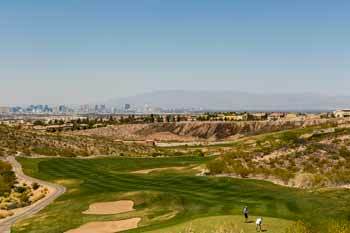 The Rio Secco Golf Course built in 1997 and designed by Rees-Jones is the center piece of the Seven Hills communities. 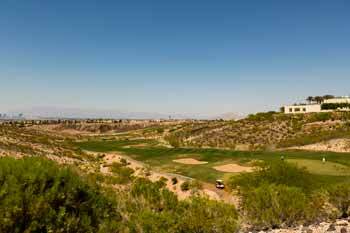 This 18 hole championship golf course is a favorite among expert golfers due to its challenging elevation changes and desert holes. 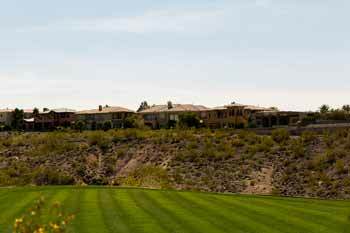 Not only is there a world class golf course, but Seven Hills is also home to the Butch Harmon School of Golf, where lessons are taught daily by professional instructors. Aside from beautiful parks, golf course and stunning views, the Seven Hills community is also surrounded by local boutique shops, exquisite dining, entertainment and so much more. Come find your next home in the Seven Hills today! Your dream home in Seven Hills! Oversized corner lot, open floorpan, tile throughout, 3 bedrooms, 2 baths, upgraded kitchen and beautiful backyard!